Henry Holt and Co., 9780805093995, 352pp. 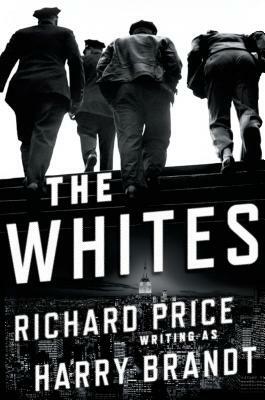 Richard Price's New York Times bestseller, The Whites, is an electrifying tale of a New York City police detective under siege-by an unsolved murder, by his own dark past, and by a violent stalker seeking revenge. Back in the run-and-gun days of the mid-1990s, when a young Billy Graves worked in the South Bronx as part of an aggressive anti-crime unit known as the Wild Geese, he made headlines by accidentally shooting a ten-year-old boy while struggling with an angel-dusted berserker on a crowded street. Branded as a loose cannon by his higher-ups, Billy spent years enduring one dead-end posting after another. Now in his early forties, he has somehow survived and become a sergeant in Manhattan Night Watch, a small team of detectives charged with responding to all post-midnight felonies from Wall Street to Harlem. Mostly, his unit acts as little more than a set-up crew for the incoming shift, but after years in police purgatory, Billy is content simply to do his job. Then comes a call that changes everything: Night Watch is summoned to the four a.m. fatal slashing of a man in Penn Station, and this time Billy's investigation moves beyond the usual handoff to the day tour. And when he discovers that the victim was once a suspect in the unsolved murder of a twelve-year-old boy-a savage case with connections to the former members of the Wild Geese-the bad old days are back in Billy's life with a vengeance, tearing apart enduring friendships forged in the urban trenches and even threatening the safety of his family. Razor-sharp and propulsively written, The Whites introduces Harry Brandt--a new master of American crime fiction. Richard Price is the author of several novels, including Clockers, Freedomland, and Samaritan. He won a 2007 Edgar Award for his writing on the HBO series The Wire. Harry Brandt is the pen name of acclaimed novelist Richard Price, whose eight previous novels—including Clockers and Lush Life—have won universal praise for their vividly etched portrayals of urban America. He lives in Manhattan with his wife, the novelist Lorraine Adams.